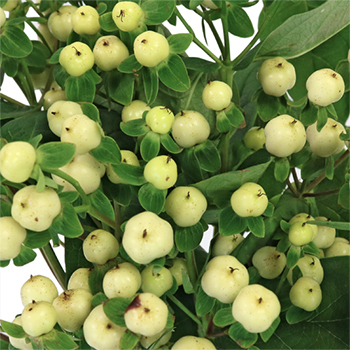 Create extra interest in your floral arrangements with the touch of hypericum berries! 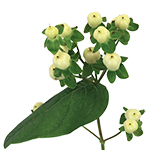 The Creamy White Hypericum Berries definitely stand out against the plants vivacious green leaves! 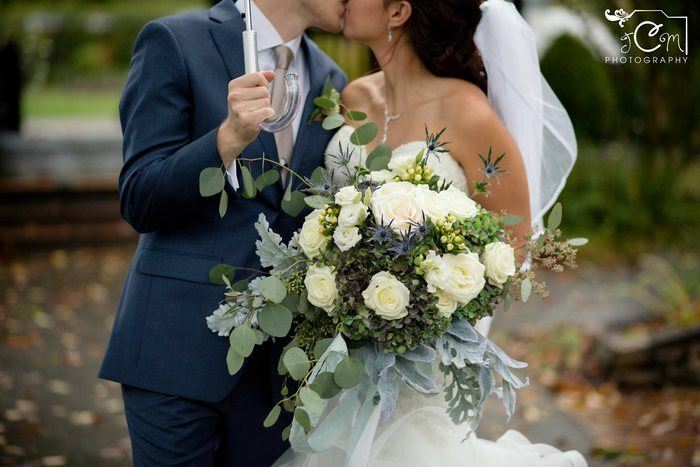 Nestle the berries in with your favorite FiftyFlowers blooms like garden roses, hydrangeas, and sweetheart roses for a bouquet boasting with texture! Average Berry Size: ¼ to ½ inch. 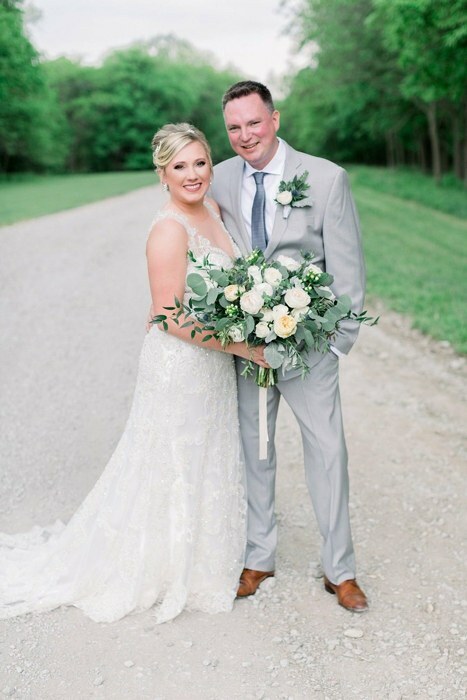 Symbolism: Hypericum is often associated with happiness and inspires creativity; it is commonly gifted to those that are beginning a new path in life. 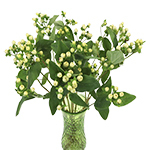 Each stem will have several clusters of berries with some greenery. Hypericum Berries are shipped with 10 stems per bunch. Hypericum is also known as St. John's Wort; however, berries are commercially-grown for decoration purposes and NOT for topical use or consumption.